When two little girls disappear in the night, the truth about what happened lies in the words they cannot speak.As dawn's shimmering light drenches the humid Iowa air, two families wake to find their little girls have gone missing. 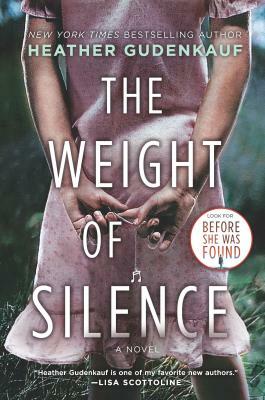 There's seven-year-old Calli Clark, a sweet, gentle dreamer who suffers from selective mutism brought on by a tragedy that pulled her deep into silence as a toddler, and Petra Gregory, Calli's best friend, her soul mate and her voice.Desperate to find their children, Calli's mother, Antonia, and Petra's father, Martin, are forced to confront dark truths about the role each of them may have inadvertently played in the girls' disappearance. Inextricably tied together, these two families are trapped in the silence of unspoken family secrets. Will they find their daughters before it's too late?Heather Gudenkauf's bestselling and groundbreaking debut is a gripping novel packed with dark secrets and deep emotion. This chilling tale of two families' desperate search will linger long after the final page is turned. Heather Gudenkauf graduated from the University of Iowa with a degree in elementary education and for the past sixteen years has worked with elementary children. Currently, along with writing, Heather is an Instructional Coach, an educator who provides teachers with curricular, student, and professional development support. Heather lives in Dubuque, Iowa with her husband and children. In her free time Heather enjoys spending time with her family, reading, and running.